We slept on each of these for at least a week. 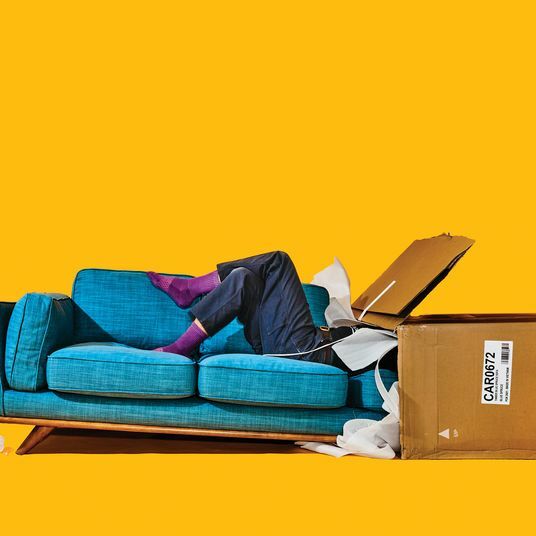 We wrote last year about a golden age of mattresses. 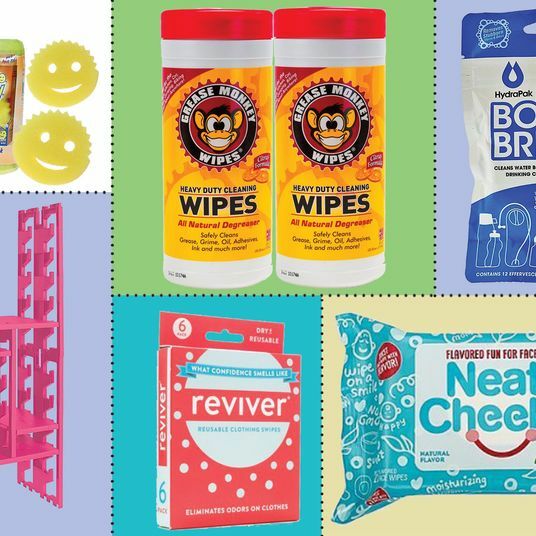 So many start-ups had popped up to challenge the likes of Sleepy’s and Tempur-Pedic — Casper and Tuft & Needle and Leesa and Saatva among many others — that we tested a bunch to make sense of it all. Since then, the mattress-sphere has only gotten more crowded, with more brands continuing to debut, and existing brands rolling out new models and phasing out older ones. Meanwhile, the question, “What mattress should I buy?” has gotten trickier to answer. So we’re doing this again. We’ve updated our guide by trying these beds out ourselves. Determining which mattress to buy will always depend on you — your sleeping position, temperature, firmness preference, and your budget — and the perfect mattress only becomes obvious once you’ve actually slept on it. The writers and editors on our team described their individual sleeping profiles, and as best we could, we each tested a mattress that we might have bought for ourselves, if we were shopping based on other online reviews. After a week (not after one night, and not after half an hour in a store), we wrote our reviews. So if you’re a stomach-sleeper who runs hot at night, look for the Strategist editor who is, too. Same goes for if you’re a side-sleeper, or you hate foam, or your back hurts all the time. A couple of things to note: All the mattresses here are some of the best-reviewed on the market, so there are no duds. Rather than name the “best mattress for everyone” (which we’re convinced doesn’t exist), we set out to judge each on its own terms. The starting prices we’ve listed are for full-size mattresses, since that better represents the range of costs than the generally much cheaper twin. And for companies that offer more than one mattress design, we picked only one option. Still, we hope the review serves as a baseline for how firm, springy, or cushy the brand’s other products might be. We’ll be adding more mattresses from other companies as we go, but for now, here’s our answer to that question about which mattress you should buy. How I sleep: I slouch, so at night I need to lie down on something very firm to counter a long day of slightly stooped sitting and sinking into my hips while standing. I start out on my back, but eventually collapse over to my side by the middle of the night. 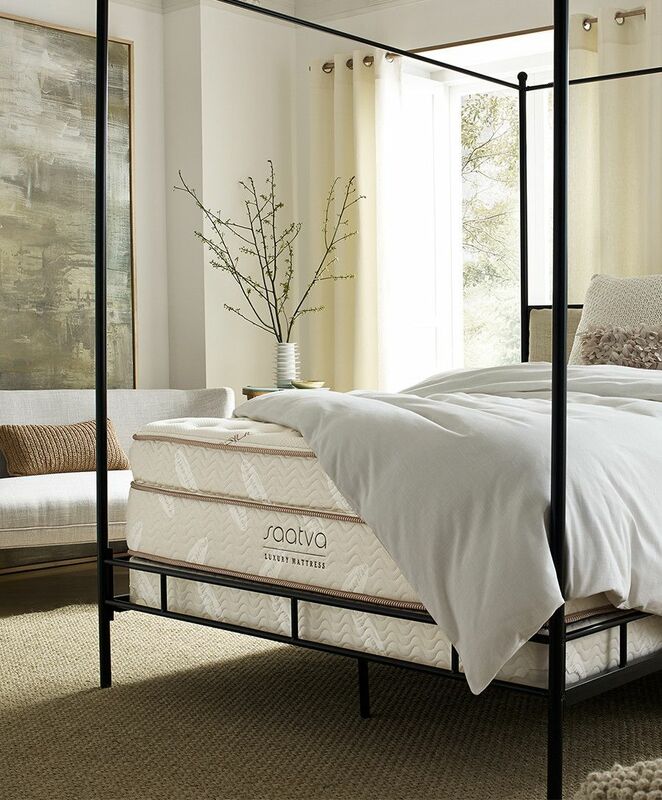 What to know: Saatva, which has been around for eight years, was one of the first online, innerspring mattress companies. They offer three versions: soft, luxury firm, and firm. In each, an organic cotton pillow top — some people call it “Euro-style,” or “hotel-style” — covers a top layer of eco-friendly memory foam, which sits on a level of individually wrapped coils above another layer of recycled steel coils, then a poly foam base. How I slept: Because of my generally sore back, I was tasked with testing some of the firm mattresses out there. Side-sleepers, the company told me, are said to prefer the Luxury Firm. So I got it, and my first impression was how sturdy the bed felt. But lying down, I immediately noticed how incredibly bouncy the double layer of coils makes the Luxury Firm. I can certainly see why side-sleepers would like the pressure-relief it offers, but I decided to swap it for the Firm, hoping it would focus support on my lumbar region. Which it very much did. You feel more on top of it, because of the steel springs, but you still have the contoured shape of the raised pillow top. I move around at night, shape-shifting from my back to my side to stomach, but the firmness of this mattress never created a sunken, stuck feeling, which I’ve found happening with memory foam. Instead, the supported feeling of this bed (which still manages to be pretty plush) kept my lower back from collapsing in, making my spine feel more aligned overall. The fine print: Saatva allows customers a 120-day trial run, as well as a full return or exchange. The mattress is covered by a 15-year warranty. All sizes are available in two heights — a “Custom Slim” 11.5” and a “Premier Luxury” 14.5” — and give the same level of support. The company offers free white-glove delivery and mattress removal. The tl;dr: Saatva’s firmest option is a true firm, making it a good choice for those in need of back support. Plus: Saatva uses organic and eco-friendly materials, so while all the mattresses listed here are certifiably safe, there are fewer chemicals in Saatva’s. How I sleep: I am a stomach-sleeper who prefers a plush mattress that cradles my body. However, I share a bed with a back-sleeper who prefers a firm mattress with little-to-no give. 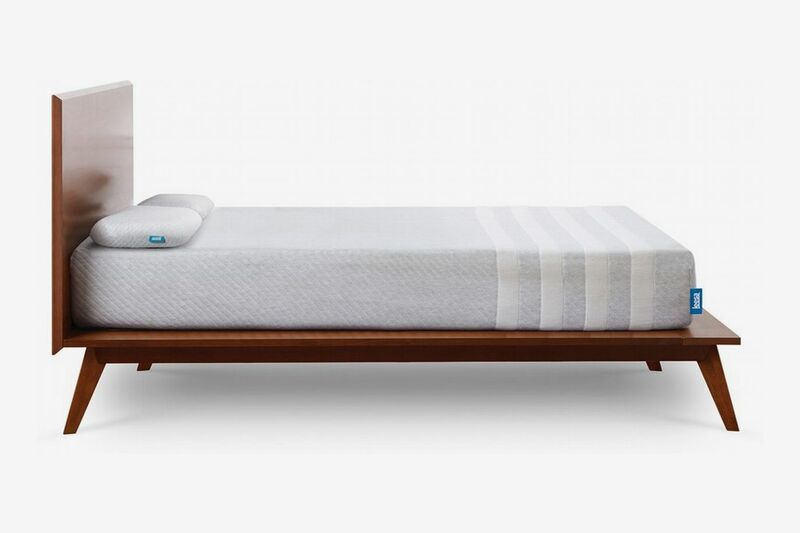 How I slept: I used a sleep tracker for five nights while testing this mattress, and every night I fell into a deep sleep quickly and stayed there. The mattress felt soft and plush, but I never sank down into it. My partner, who is so enamored with sleeping on hard surfaces that he sometimes naps on a yoga mat on our hardwood floor, raved about the pressure relief and comfort he felt from the foam filling in the small of his back while he slept. The fine print: Standard shipping is free, though Leesa also offers white-glove delivery for an additional $100. For an additional $50, the two-person team will also dispose of your old mattress and box spring. You have 100 days to try your Leesa mattress; if you don’t like it, the company will coordinate a pickup from your home, then refund the full purchase price. The tl;dr: This is a foam mattress, but a substantial one that offers excellent pressure relief. It should suit all kinds of sleepers and is a good mattress for anyone who doesn’t want to overthink it. How I sleep: I am not loyal to any one position, so my ideal mattress is a jack-of-all-trades with support for my back, but which is also cushy enough to let me comfortably flop around on my stomach and side. What to know: Aviya does things the old-school way and ships its mattress without compressing it in a box first. 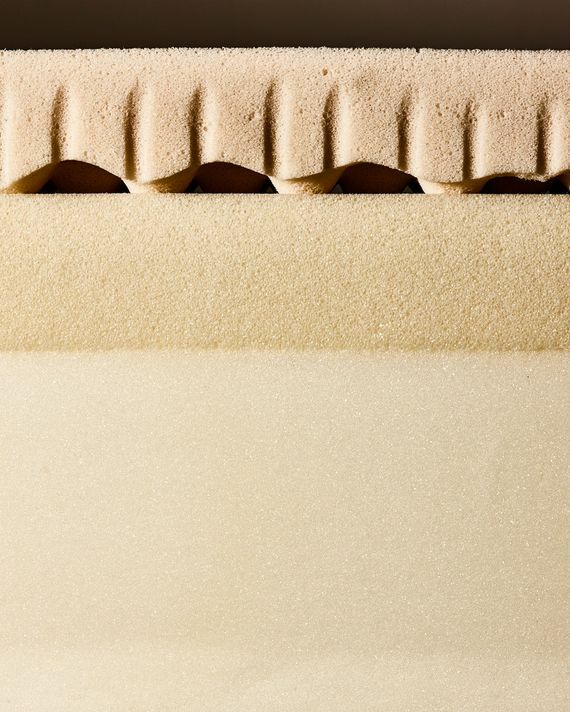 The mattress itself is a hybrid model with three layers of high-density foam over a coiled innerspring system. It offers three options for firmness: plush, luxury firm (Aviya’s most popular style and the one I tested), and firm. It’s possible you’ve already unwittingly slept on one, as a couple of popular (but undisclosed) hotel chains use the Aviya Luxury Firm bed. That may be because Sleep Advisor, Sleepopolis, and Real Mattress Reviews gave it a near perfect all-around score for comfort, materials, and support. How I slept: Flopping down, I was immediately taken by how plush yet delightfully bouncy this mattress was. The innersprings are a big plus, but they’re buried far beneath the layers of foam. I was amazed at just how propped-up and aligned my body felt while supine, yet how comfortably I slept thanks to the padding of the quilted foam top. 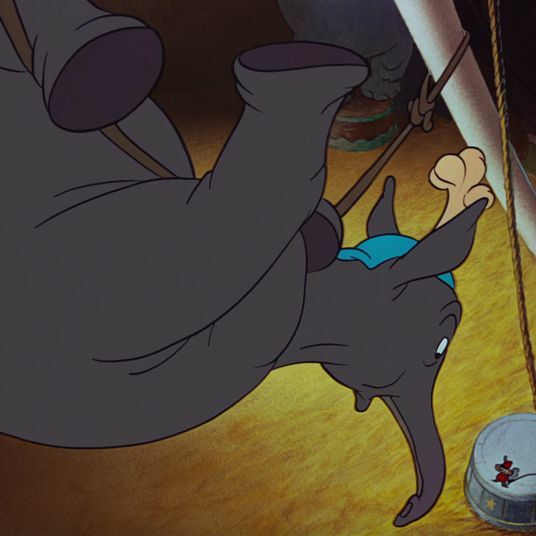 Which shouldn’t bother back-sleepers, I’d think, because of the lack of give in this mattress — there is virtually no sinkage, which I tested by dropping two ten-pound weights on top of it. But the plush top still lends itself well to dozing on your side or stomach, too. I’d even go so far as to say that sleeping on this changed my perception of what soft-but-supportive means. The fine print: Aviya provides free shipping, which includes in-the-door delivery through a third-party service. However, that might not cover getting the mattress upstairs in a walk-up apartment (it didn’t at my Brooklyn brownstone), so customers living in cities should ask ahead of time. Mattress setup and removal are available for an additional fee, and Aviya will set this up during a two-hour window, Mondays through Fridays only. The tl;dr: The Aviya is supportive but soft, and is another can’t-go-wrong choice for those who don’t want to overthink it, but know that they’d prefer an innerspring system. How I sleep: I’m a stomach-sleeper — I often can’t fall asleep at all unless I’m fully prostrate — but often wake up on my side, and I like a mattress that feels fluffy without having too much give. What to know: If you’re reading this, what don’t you know about Casper? 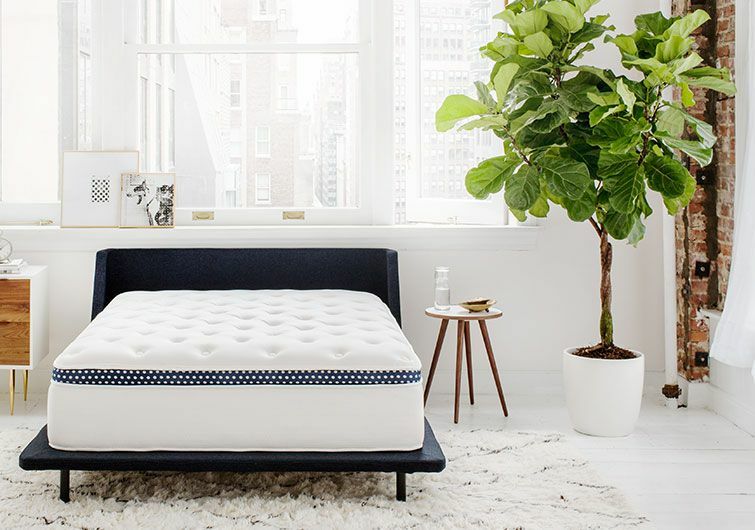 It wasn’t the first mattress-in-a-box company to launch, but it quickly became the most prominent, thanks to factors like shiny branding and venture capital funding. The original premise of Casper was that one mattress could make everyone happy. The company has abandoned this Goldilocksian ideal and made two other models (read on for those), but this is the original: a four-layer foam construction, with firmer support around the shoulders and hips in the newest update. How I slept: I owned a Casper before this project (as did several other Strategists) so my evaluation is actually based on a year’s worth of sleep. And it was great. I didn’t have any sleep complaints before, but graduating from my Ikea mattress to the Casper was like flipping a light-switch. It’s definitely a foam mattress, and for some people (like Liza Corsillo, writer and editor), that makes it feel hot. It also makes some people call it a soft mattress (Karen Iorio Adelson, Strat writer). I found it to be squarely in the middle, with absolutely no painful give around the back, but cushy enough that collapsing into it at the end of the day felt like a reward. (Lori also had one and liked it.) Casper has become the de facto mattress, the one bought by people who don’t shop obsessively and who say, “I just have a Casper.” But, honestly, the ubiquity is deserved. The fine print: You get the standard (with mattress start-ups, at least) 100 days to decide if you like your Casper. Free shipping and returns come with that, and the company says they try to donate returned mattresses when possible. The tl;dr: As a company, Casper is a well-oiled machine that makes delivery a cinch and offers other high-quality products along with the mattress, which is convenient if you want new, say, pillows. As for the mattress, it skews just a tad softer, and hot-sleepers don’t always love the foam. For everyone else, you can’t go wrong. How I sleep: I mostly sleep on my back, but also switch to my side during the night. I prefer a mattress that’s on the firmer side. What to know: Tuft & Needle launched early, in 2012, and was just acquired earlier this year by Serta Simmons. 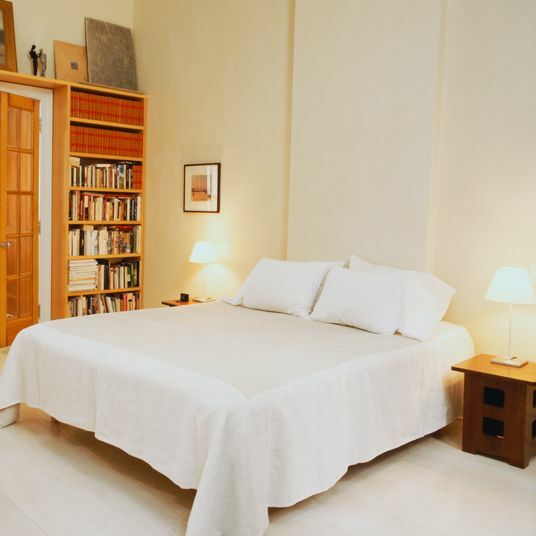 Tuft & Needle offers only two options, the original mattress and the Mint, an upgraded version of the original. The original has just two layers of material: a 7-inch support layer of dense foam as the base and a 3-inch top comfort layer of proprietary Adaptive Foam infused with a “cooling gel” and graphite to keep sleepers cool. 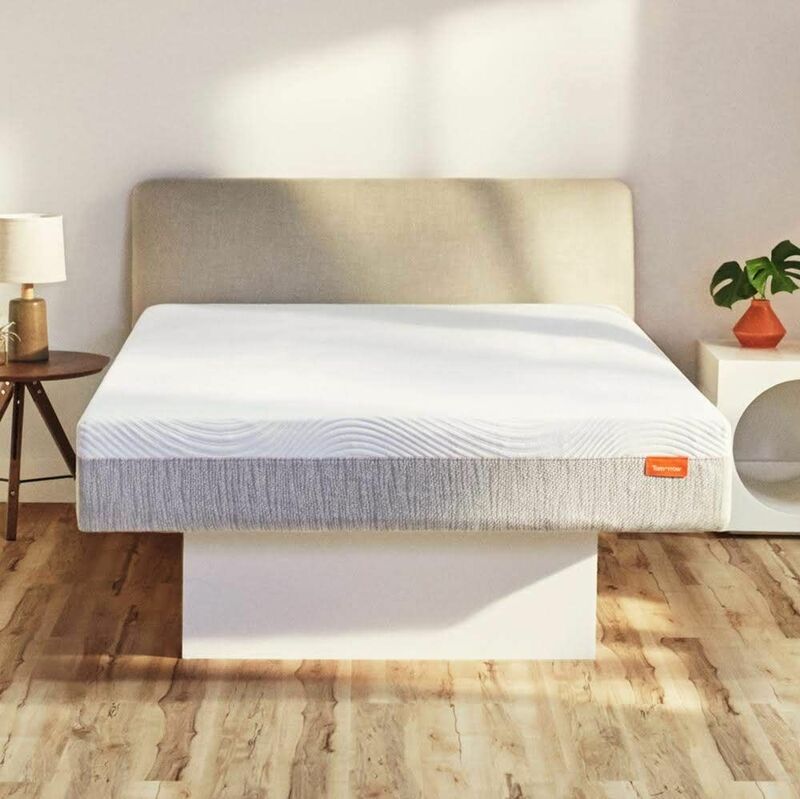 Its simplicity may explain its lower price — it’s a couple hundred dollars less than other foam competitors — but its appeal is meant to be broad and is aimed at a wide range of sleeping preferences and body weights. How I slept: Right off the bat, the mattress felt substantial. The textured fabric cover felt plush to the touch, and when I pressed my open hand down on the mattress, it bounced back with a friendly spring. Lying on the Tuft & Needle for the first time, I immediately felt embraced. Sleeping on my back, I felt supported and cocooned at the same time, and when I turned to my side, the transition felt natural. The company calls its in-house T & N Adaptive foam “soft and comfy while still being bouncy and supportive,” and I completely agree. While I may revert to a coil-spring mattress eventually, I can see myself keeping the Tuft & Needle for a long time. My husband also really likes it, and he’s a back- and stomach-sleeper whose temperature runs a little hotter than mine. It’s a solid introduction to a compressed mattress-in-a-box. The fine print: Shipping is free, and if you don’t like it after a 100-day trial, the brand offers a full refund and free removal to a charity of your choice. It also comes with a ten-year warranty. The tl;dr: Another crowd pleaser for anyone who’s happy with foam, Tuft & Needle is a very smart choice for anyone looking to spend a bit less. How I sleep: I’m a roller. I’ll start out on my back, but usually end up sleeping on my side with a pillow or the edge of a comforter stuffed between my knees for hip comfort. I prefer a firm cool mattress since I run hot, I usually wake up with one leg free of any covers. I share the bed with a side-sleeper who runs just as hot (and sometimes sweaty) as I do. 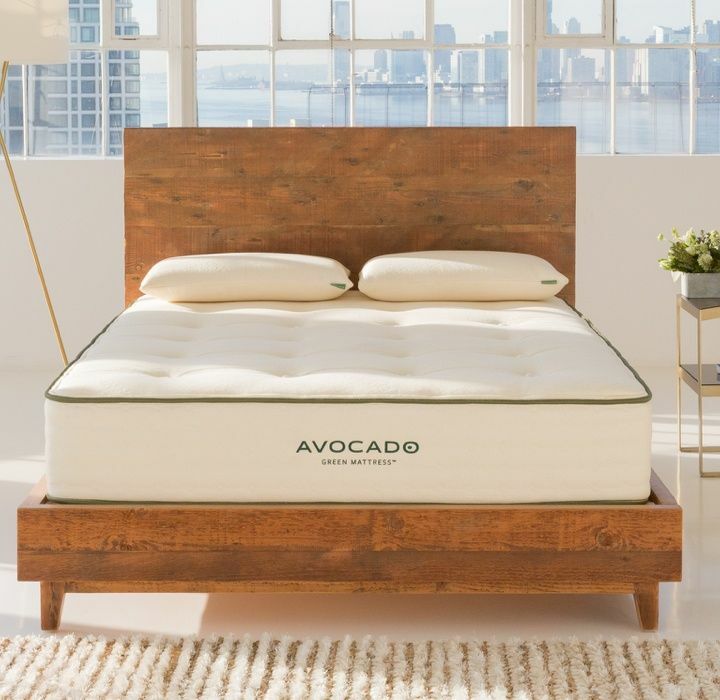 What to know: Avocado set out to create the greenest mattress on the market using nontoxic, natural and organic materials (as well as eco-friendly production processes). The brand offers two different mattresses: the Green and the Vegan, which is like the Green minus the wool. Both are foam/coil hybrids that layer eco-conscious natural Dunlop latex (made from tree sap), recycled steel coils, organic cotton, organic wool, and hydrated silica (a food grade quality flame retardant). You can choose from the standard mattress, which rates a 7 out of 10 in firmness according to Avocado’s own system, or the same mattress with an additional 2-inch plush Dunlop latex pillow top — the one I tested — which rates a 6. If it matters to you, Avocado also makes its mattresses in California and negates its shipping and delivery emissions through carbon-offset projects. How I slept: The first thing I noticed about the Avocado Green mattress was its height compared to my previous Casper mattress. The Casper measures 10 inches and the Avocado with additional pillow-top (I went for it despite liking firm beds after reading that it provides more support for side-sleepers) measures 13 inches. I’ve never preferred a tall bed, but there was definitely something decadent about flopping down on a giant slab of rising dough. It took a few nights to get used to the feeling that I was floating above the mattress rather than sinking into it, but two weeks in I felt incredibly well supported and less affected by my boyfriend shifting and changing positions (the mattress has 1,130 individually wrapped coils). And though I was skeptical, I now look forward to splaying myself out on the cushy pillow top layer — it’s by far the fanciest part of my apartment. While some people won’t care about things like petroleum-based polyurethane foams or chemical adhesives, I appreciated knowing the Avocado lacked those things. What it does have makes the mattress naturally anti-microbial, more breathable, and dust mite resistant. I’ll always be the kind of person who prefers sleeping with the window open (partly because I don’t have control over the heat in my apartment), but hot sleepers should know that the Green mattress is a big improvement over my Casper, which made my night sweats worse. The fine print: Avocado lets you test a mattress for 100 days with free returns if you don’t like it, and it offers a 25-year warranty. Delivery was easy — I got a call a few days out to schedule a drop-off window and again on the delivery day to let me know my mattress was 10 minutes away. I opted for an additional mattress pad cover (because dog accidents happen) and two standard pillows which came separately via FedEx. The tl;dr: If you want a lot of support plus cushioning, Avocado is a foam/coil hybrid mattress that will give you both. The layers of organic wool and cotton help to regulate body temperature and wick away moisture for warmer sleepers, too. For those who prefer a very firm mattress, the pillow topper is an added expense that you may not enjoy (you don’t need it). And it’s especially good for any sustainable/eco-conscious types, though you don’t have to be to appreciate it. 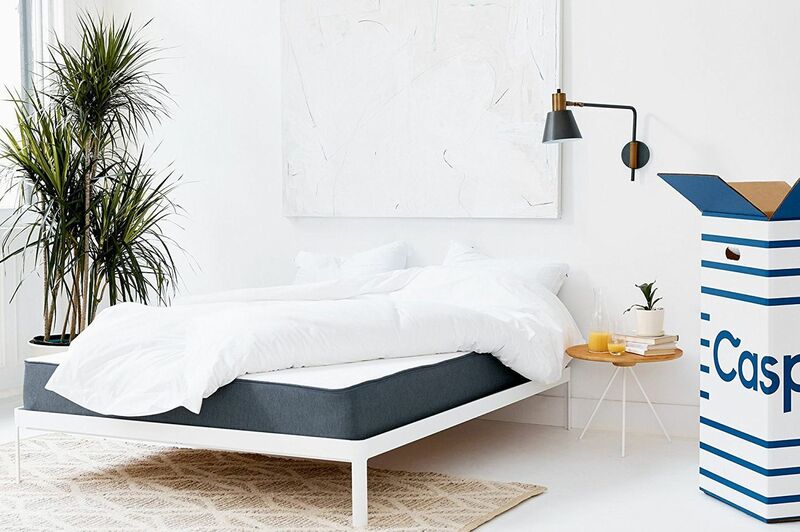 What to know: Allswell is Walmart’s mattress-in-a-box brand, and it only just launched in 2017. It offers two models: the 12-inch-tall Luxe Hybrid, which I tested, and a newer, cheaper, hybrid mattress simply called the Allswell. The Luxe Hybrid is one of the compressed mattresses that still has coils in addition to foam that’s mercury- and lead-free. 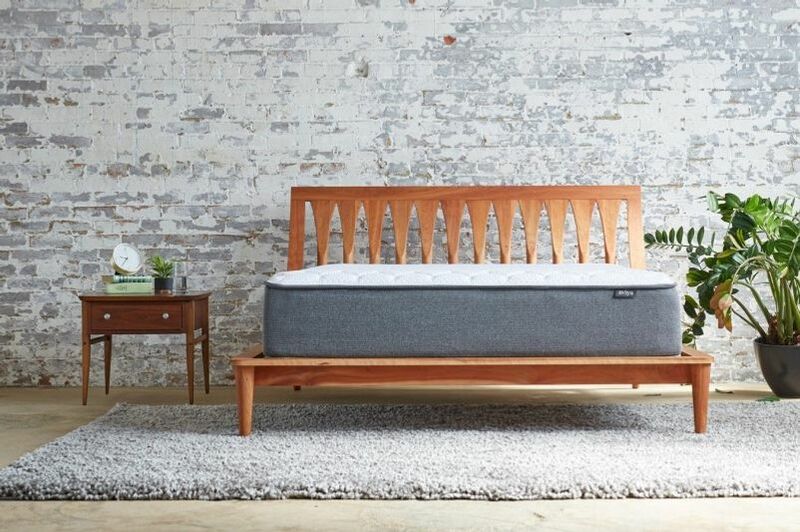 The reviews on the young brand are solid: Sleep Sherpa called Allswell a breakout brand; Mattress Clarity points out that its firmness makes it well-suited for back and stomach-sleepers. How I slept: The strangest thing happened the first time I slept on the Allswell: I laid down on my back, to assess the mattress, noting how buoyant I felt. And then I stayed that way and passed out. (It’s almost physiologically impossible for me to do this.) Perhaps I was feeling emotionally spent — I had just crawled into bed after seeing A Star is Born — but more accurately, there was something comfortably paralyzing about letting this very firm mattress straighten out my skeleton. If I was writing taglines, I’d call the Luxe Hybrid “sumptuously Spartan.” The plush topper is soft, to be sure, but you float firmly atop the mattress instead of nestling in. I slept like a rock for eight hours, several nights in a row. In the mornings, while my alarm clock snoozed, I’d return to my back from a fetal position and could practically feel my spine unfurling again, realigning for the day. The fine print: Allswell offers tiered shipping options: free shipping; white-glove delivery ($99); white-glove delivery and old mattress removal (also $99, but only if you waive the 100-night free trial period. ); white-glove delivery and paid old mattress removal ($149), in which you keep the 100-day return option. 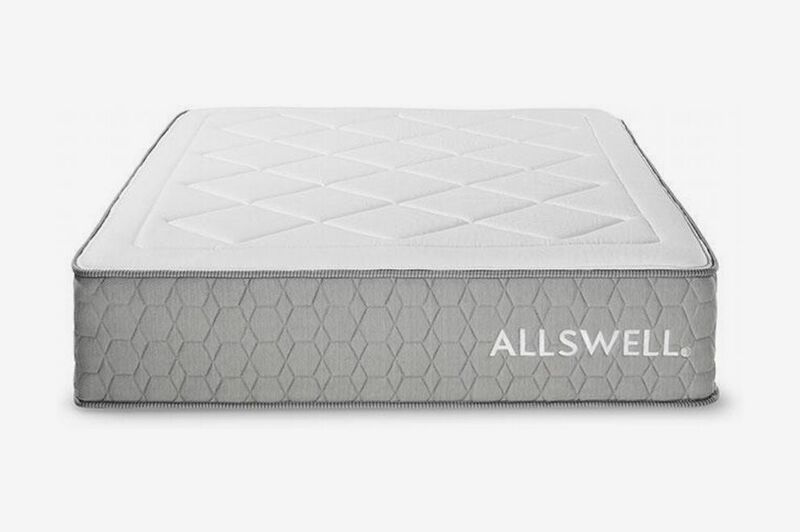 The tl;dr: Allswell has made a stellar firm mattress: You’re being good to your spine, but the feel is still comfortable. It’s also a remarkable value for the price. What to know: The Casper Wave is a souped-up, premium version of the original Casper that’s designed to provide targeted support for your back, neck, and shoulders along 33 points in the mattress, through a contoured foam and dome-shaped gel pods (the gel pods are new to the Wave) that are said to work for all shapes and sizes. It’s made of five layers of foam (including a frequently raved-about top-layer of “flo” foam), has a more luxurious texture, and a thick, removable cover, and at $2,250 for a queen, is very much the “luxury” option. The Wave earned an almost perfect score from Sleep Advisor, which was gung-ho for the support and overall quality. How I slept: If you’re familiar with the regular Casper, the first thing you’ll notice is that the Wave is firmer. But as almost every review mentions, the top of the mattress also has a lovely plush feeling to it that lends itself well to stomach-dozing and side-snoozing. The mattress felt too stiff for my taste, but friends of mine who like firm mattresses inherited it and they love it. One is a side-sleeper and the other prefers dozing off on her stomach, then flipping onto her back at night, and they reported that — at the risk of sounding hyperbolic — “the Casper Wave has been revolutionary.” It took them a few nights to get used to the firmness of the mattress, but after that, they were smitten. “My hips don’t sink in like they used to with our old mattress, so it makes me feel almost weightless,” one of them noted. 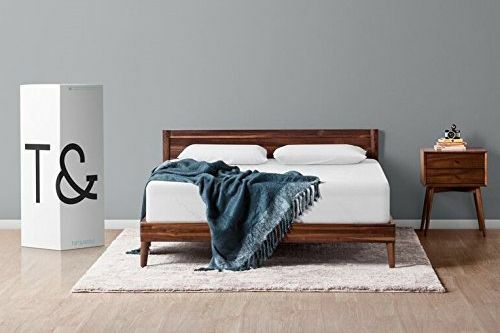 The rumors about this mattress running hot (as does the original Casper) are true, but fixable: having tested this during a New York City heat wave, I would absolutely recommend removing the wool cover if you burn up at night. 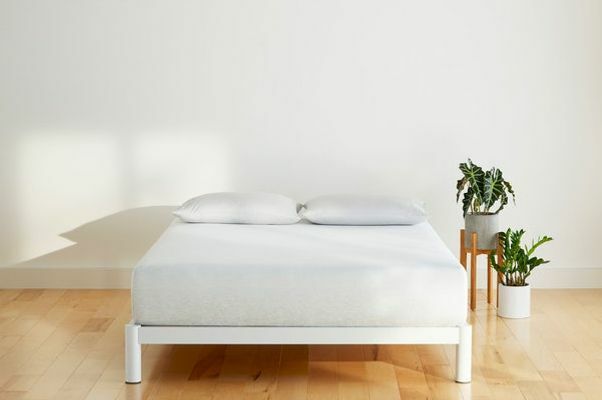 The fine print: Casper provides free shipping with free white-glove delivery, and mattress pickup if you live within their “in-home delivery and setup markets.” In parts of New York City and Los Angeles, delivery can be as early as the same day. As a repeat Casper user now, I’m consistently impressed by how headache-free and speedy the process is. The tl;dr: The Casper Wave is not an entry-level mattress — it’s a mattress for sleep obsessives and mattress-heads, especially those who want something firmer. What to know: Tomorrow is Serta Simmons’s year-old bed-in-a-box company. 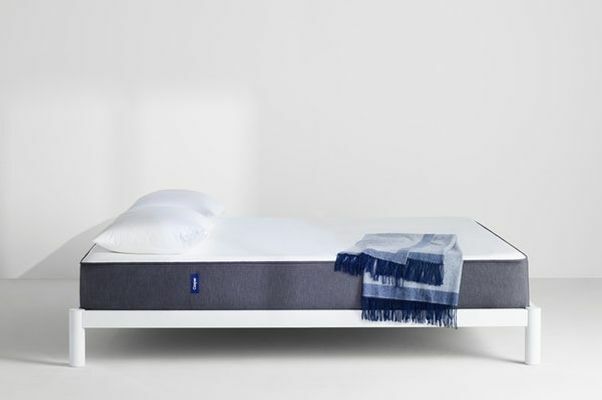 Sleepopolis lists Tomorrow as one of the seven best hybrid (as in combination spring and foam) mattresses, calling it best for side-sleepers. Mattress Clarity says it’s the best value hybrid mattress, which is notable, because a Tomorrow hybrid in the queen size costs $990 — on par with Casper and Leesa. Tomorrow president Bryan Murphy says two major design choices set Tomorrow apart: 1. extra-dense (4.5 pound) memory foam, and 2. a pocketed coil system of six-inch coils that get individually wrapped and placed inside the base. How I slept: I opted for the hybrid mattress (Tomorrow also makes an all-foam model, but the person I share a bed with heats up like a furnace at night, and coil systems are cooler than foam) in Medium Soft. Flopping down on it for the first time, you sink into a few downy inches of memory foam. My boyfriend called sleeping on the mattress “cloud riding,” and loved it. But after a week, my lower back started talking (which it does a lot; at work, for a time, I sat on this ergonomic chair) and I noticed my hips were sinking further into the mattress than my legs. My bed partner, whose back never seems to ache, felt none of this. So we swapped our Medium Soft for a Medium Firm, and this mattress is my platonic ideal. The difference in sinkage is distinct — instead of dropping down into the top layer of memory foam, I feel gently, delicately nestled into it — but the overall experience is still more cushioned than austere. There’s a distinct feeling of foam, with none of the foamy heat-trapping. It has “firm” in the name, but if I’m using the standard Casper we had before as a barometer, this mattress is ever-so-slightly softer. In my house, that’s what we like, and this mattress has both of its occupants sleeping deeply and soundly. The fine print: Tomorrow ships for free and offers white-glove delivery (from $75) and old mattress removal ($50). Customers get a full 365 days to decide if they like their mattress. If they don’t, they get a full refund. The tl;dr: If you enjoy a cloud-like feeling, and would prefer a hybrid construction with better airflow than all-foam, get a Tomorrow. 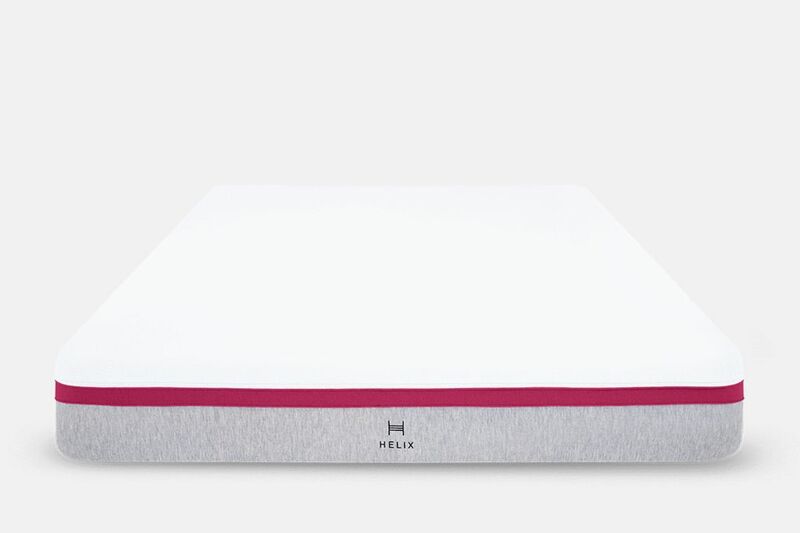 What to know: Helix doesn’t offer one style of mattress-in-a-box. It has nine, ranging from plush to firm, including three speciality mattresses: two split-firmness mattresses, which have one plush and one firm side, and an extra-supportive mattress specifically designed for plus-size and “big and tall” customers. This level of personalization is why Sleepopolis calls the Helix the best mattress for couples, especially those with competing sleep styles. For those, a short quiz guides you toward the ideal combination of springs and foam. 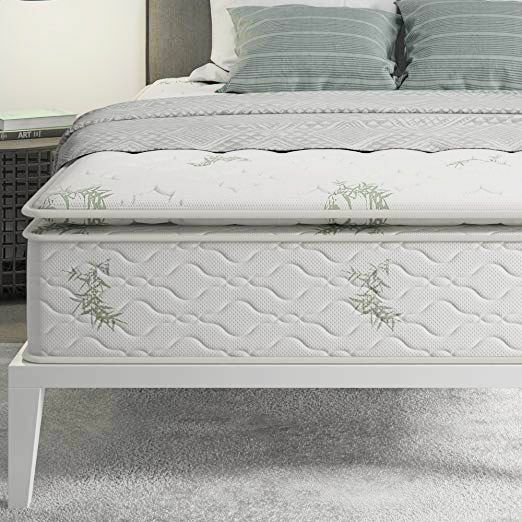 However, all of Helix’s mattresses have the same basic hybrid construction, with a bottom layer of hundreds of wire coils topped by two layers of foam. How I slept: According to the quiz, our best option was the Dual Extra, with the split-firmness construction; unfortunately, the smallest size available for that style is a queen, and we have a full-size frame. So we went for the next option, the Dusk, which offers what’s described by the company as “medium feel” on the top and extra support from the middle layers of metal coils. It’s their middle-of-the-road option, neither firm nor plush. With that description, I was surprised by how soft the top layer felt, and I fully sank into it when I laid down. My partner (who grew up sleeping on a futon) referred to a “waterbed effect” he experienced when he tried to get out of bed and his hand sank into the mattress. But even though the Dusk registered more as medium-soft than medium-firm, I felt supported by the denser mattress base. The fine print: Helix ships for free and offers a 100-night sleep trial. If you are unhappy with the mattress for any reason, you can return it for a full refund. The tl;dr: As a rule of thumb, Helix’s mattresses run soft. The 100-night trial period means that couples curious about the dual-construction options should absolutely give it a try. What to know: Wink is an interesting company. Its mattresses are handmade to order in Wisconsin, and many of the people working at its factory have been building beds by hand for most of their careers. Wink CEO Dan Adler says certain techniques — like hand-sewing the mattress quilt and tape edge, and laying the innersprings by hand — ensure the quality of construction on every mattress. 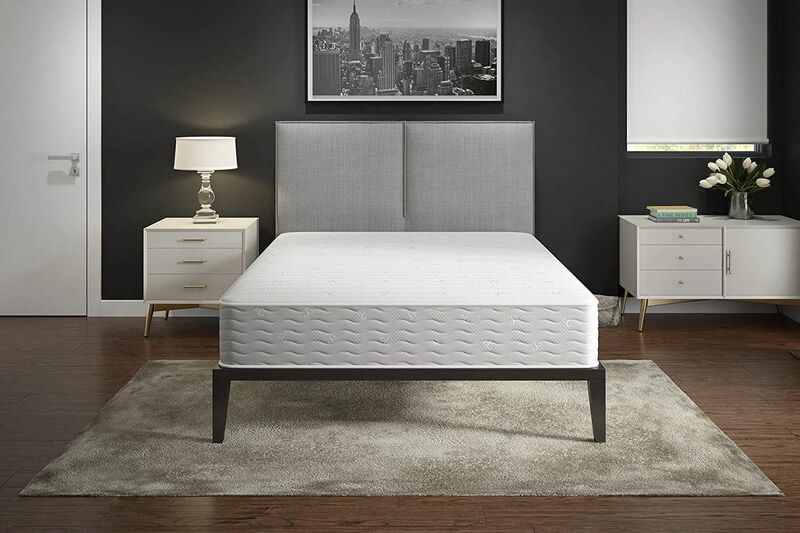 From top to bottom, these have a thin layer of foam (for comfiness), air springs (to keep things cool), a support pad (to keep your lumbar area well-supported), and tempered steel coils (for pushback, and to keep the mattress from losing shape). Wink beds come in soft, luxury firm, and firm. How I slept: Though I bristled at the word “firm,” I quickly converted from “will only sleep on pillows” to “I think I’m a firm mattress person.” Because the memory foam layer is thin, it still felt soft without enveloping my body. The mattress also seems to have saved my boyfriend’s back. He claims he hasn’t woken up with pain since we started sleeping on it. The springs also seem to absorb other movement — my boyfriend often comes to bed much later than I do, and I found that I noticed him flopping down a whole lot less on the Wink than I did on my old bed. I also find that I’m comfortable on the Wink on my back, side, or stomach. The fine print: Wink ships free, and offers white-glove delivery for $99. Customers get 120 days to decide if they like it. If not, they’ll pick it up for free and give a full refund. The tl;dr: Wink’s middle-ground hybrid option (not even its firmest) was firm and supportive enough to rid one sleeper of nightly backaches. 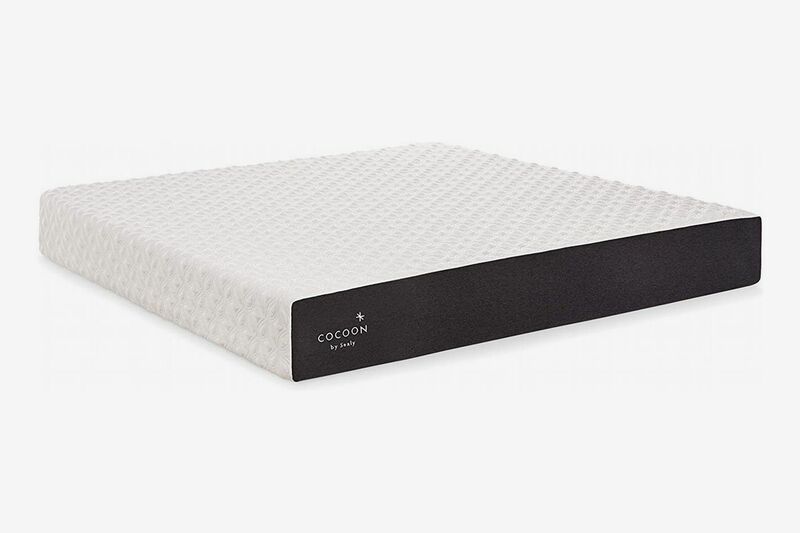 What to know: Cocoon is Tempur-Sealy’s bed-in-a-box offering. There are two levels of support — soft and firm. 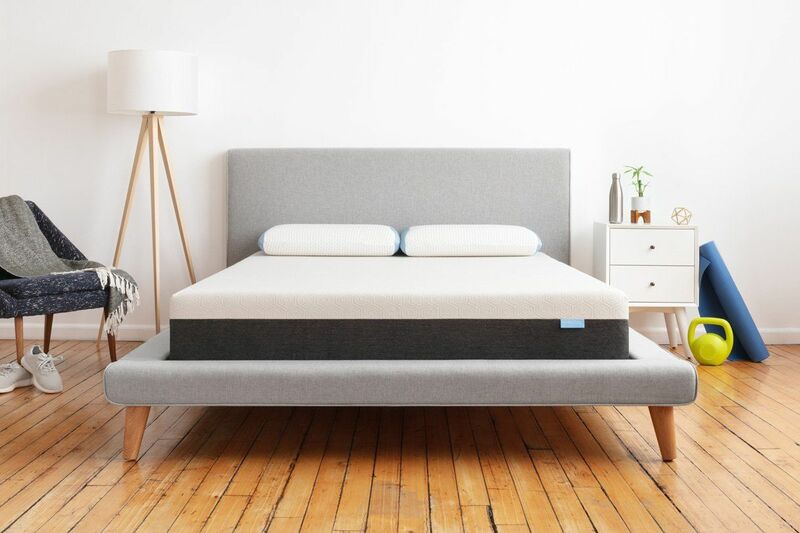 The firm option’s construction is pretty straightforward: two inches of memory foam atop eight inches of high density foam (the soft version has a transition foam layer to separate the memory foam from the base layer; they say side-sleepers prefer it for that reason). With the firm one, you are closer to the high-density foam, hence a slightly more supported feeling. Sleepopolis calls it a no-frills option for people who want a firm feel but don’t have specific sleeping issues. How I slept: The Cocoon is every bit as firm as the innerspring coil mattress I’ve slept on for years, but the memory foam hugs me in a way that makes my lower back feel particularly supported. Weird visual for you: Imagine two open palms gently lifting up your sacrum area. There was no hip-sinking feeling; the foam filled in the areas around my lower spine that generally ache, making it feel like I was very much on top of the mattress. The first night I don’t remember moving around all that much. The following morning, the usual roll-out-of-bed lower-back creakiness was gone. 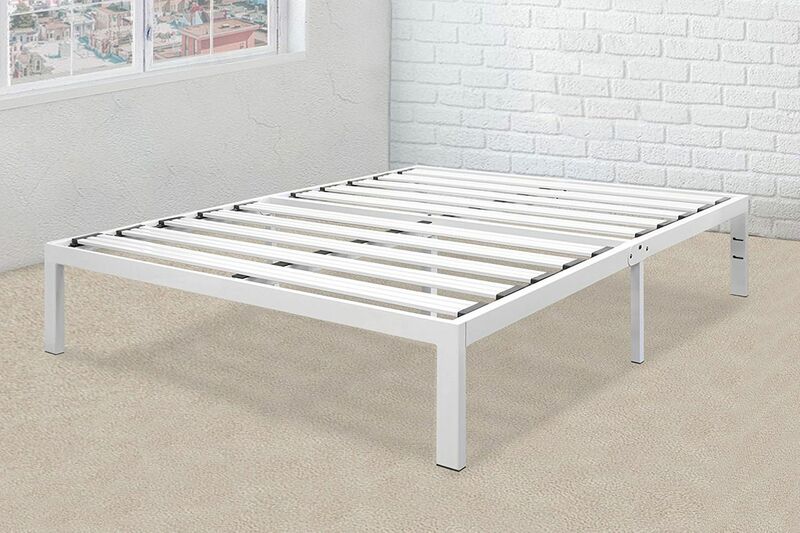 The thing about this bed is that despite that Sleepopolis review, I have very specific sleeping issues. I’ve had acupuncture and done physical therapy over the years to alleviate chronic back and neck soreness. Right before trying the Cocoon, I had a new, specific bit of spinal pain. But much of that immediately subsided after that first night and hasn’t returned. Crawling into this bed at the end of the day gives me a floating yet hugged feeling that I find to be full-body relaxing. Also, for an extra $50, you can get a cooling Chill version, which I tried. It comes with a heat-dissipating knit cover. I know that memory foam can cause you to heat up, but it was never an issue here. The fine print: Cocoon ships for free and customers get 100 nights to try things out, with the option to exchange or return. While the memory foam will break in and adjust to your pressure points (I noticed the density of the mattress subsiding slightly), the company says that if it shows any indentations or dips lower than one inch, a full return is covered by their ten-year warranty. The tl;dr: Cocoon is an all-foam mattress, but the firm option was supportive enough to help alleviate some chronic back pain. Priced a bit lower than competitors like Casper, it’s a solid value. How I sleep: I’m an avowed side-sleeper who likes a lofty pillow and a mattress that’s more firm than soft. I hate Tempur-Pedic foam mattresses because they’re both too spongy and hot. What to know: In 1996, the brothers Tony and Terry Pearce (both engineers) invented their highly stretchy Hyper-Elastic Polymer, a strong but moldable gel-like material that was then used in medical beds, Dr. Scholl’s soles, and toy balls. In 2016, the brothers used the technology to create direct-to-consumer mattresses that they called “the world’s first no-pressure mattress.” You may be familiar with commercials in which a man with three eggs attached to his back drops from the air onto the mattress without a single one of the eggs cracking. 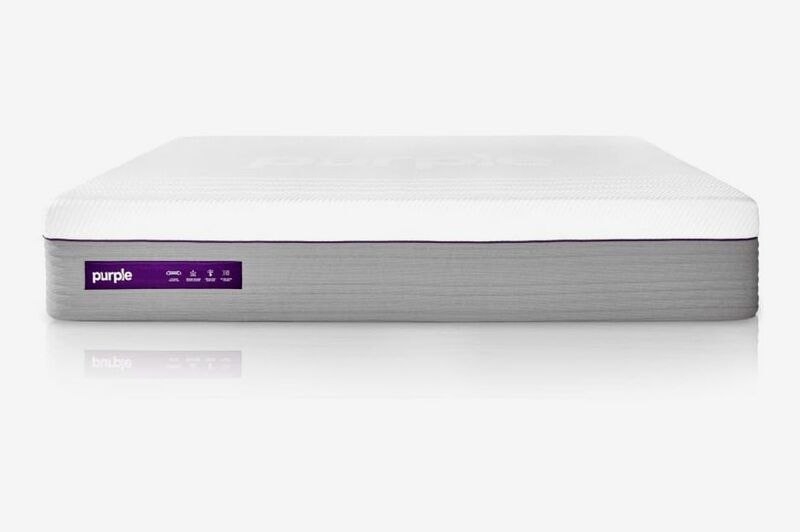 Unlike traditional spring coil mattresses, the Purple features several different layers — one is a set of coils, topped by a thin layer of memory foam, which sits under several inches of Purple’s proprietary polymer material that’s then covered by a layer of fabric. The Hyper-Elastic Polymer layer isn’t a smooth plane but a grid of squares, which you can definitely feel. Mattress Clarity says that grid allows for airflow that’s great for hot-sleepers and Sleepopolis says it’s the one side-sleepers should choose. How I slept: I chose the new Purple mattress in a 3 (for three inches of Smart Comfort Grid), which is bouncier than the 2 and firmer than the 4. Plopping down on the mattress was a brand-new sensation: You’re very aware of the gel surface, which has almost the rubbery give of a kids’ party bouncy house. I didn’t mind the texture of the square grid, though, because the mattress has such supportive structure. When I laid on my side, it was like being cradled rather than smothered, the way I felt on my old foam mattress. My pressure points in my shoulders and hips never ached — I used to have to move around to avoid spots that had dipped and retained heat, but the gel layer never held divots. After a week, I was fully converted and found myself wanting to spend time in bed during the day: reading magazines, using my laptop, playing with the dog. The fine print: The white-glove delivery service (which includes hand delivery of the mattress as well as removal of any old mattress) only offers weekday appointments, with wide delivery windows (10 a.m. to 4 p.m.). That said, when they did show up, setup was seamless and took under five minutes. The tl;dr: Purple’s anomalous materials are well-suited to those who sleep hot and hate foam (even hybrid mattresses will layer coils with foam; Purple uses just two very thin layers of foam) and who are game to try something very different. 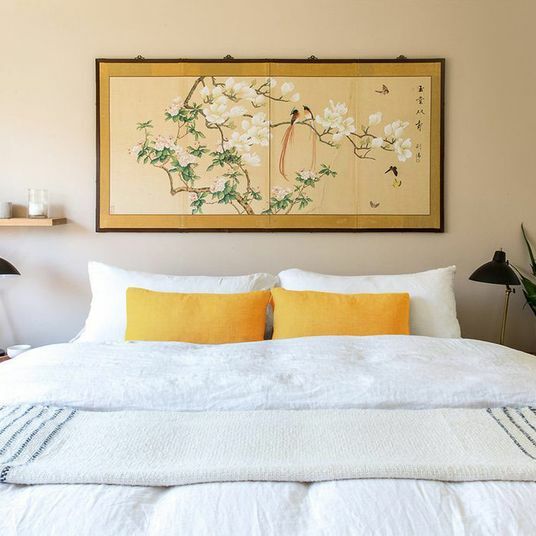 What to know: Parachute — maker of linen sheets, bathrobes, and mattress toppers — released its first (and for now, only) mattress early this year. Before I even touched it, two major things stood out: 1. It’s nice-looking, with fuzzy white wool buttons pinning down the tufts, and 2. it doesn’t smell like anything, meaning it has none of the plastic aroma that issues from a lot of other vacuum-packed mattresses. 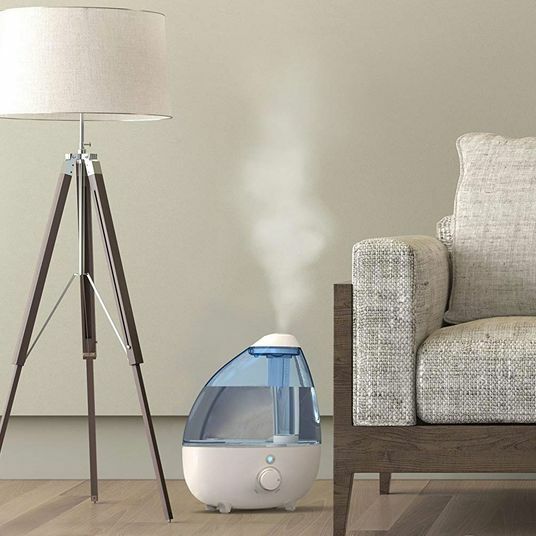 (That effect is called “off-gassing,” and it’s not harmful, just unpleasant.) Both of these qualities are central to what Parachute founder Ariel Kaye wanted: to make an eco-friendly, heritage-style mattress that gets dropped off at your door. This mattress is spiritually modeled after a Hästens model which, years ago, Kaye saved up to buy. “I’m not saying we use horse hair or the same construction, but the idea was always to have a heritage mattress,” Kaye says. That’s also why Parachute uses only springs (there are 6,000 coils in the queen size) and zero foam, which is said to lose shape and break down. How I slept: In the age of the foam mattress, you forget how breezy springs feel. (At least, I did.) Parachute’s mattress is very firm, so my initial impression was one of sleeping on a very sturdy topper floating on top of nothing — I immediately noticed that my body heat was no longer trapped beneath me. Because Parachute deliberately made a firm mattress (most people prefer firm, as they should), they recommend that lovers of soft ones add Parachute’s mattress topper, which we’ve actually, separately, deemed the best of its kind. I tried that, and the pillowy layer on top of such a supportive mattress works. One more thing: ever since Wendi McLendon-Covey told the Strategist about looking for “an organic mattress that wouldn’t leach chemicals,” I’ve had a back-of-my-mind paranoia about sleeping nestled into carcinogenic brain-cell-killing fumes. 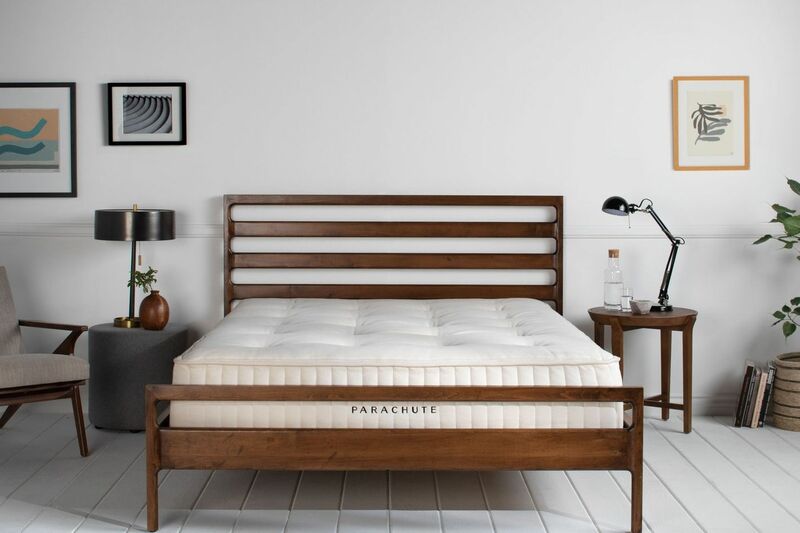 Paranoid, yes, but the fact that Parachute’s mattress uses 100 percent organic cotton and New Zealand wool brings me some welcome peace of mind. The fine print: Parachute is offering free white-glove delivery — although if you have two strong and able bodies to lift the box, you won’t need it — and 90 days to return the mattress, with a 10-year warranty. 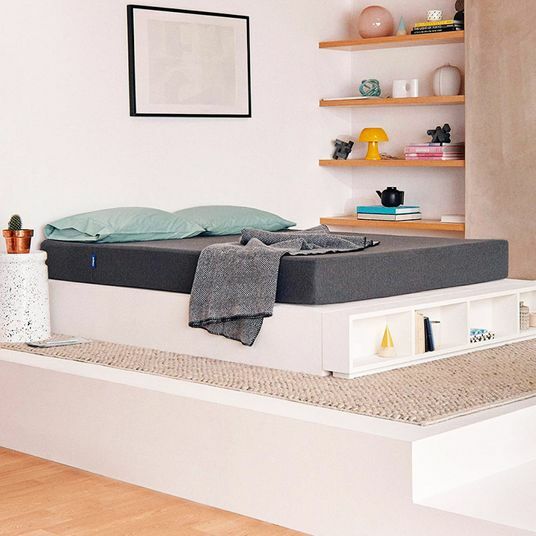 The tl;dr: Parachute’s mattress costs more than most of the other mattresses on this list, but it also offers stuff other mattress-in-a-box companies haven’t yet: all springs and no foam, and more organic materials than many others. It’s positioned as a luxury hotel-style mattress, and it really feels like one. How I sleep: I usually sleep curled up on my side, and prefer a firmer mattress. I run hot when I sleep, too, so I appreciate anything that’ll keep me from sweating. How I slept: Considering my usual preference for a firm mattress, I was very pleasantly surprised by how much I liked this one. The top layer is definitely plush, but instead of sinking into it, I felt more like the mattress was rising up to meet me and fill in the spaces where I need some extra padding, like under my back and knees. It’s easy to feel the firmer layers underneath supporting all that softness on top. Unfortunately, I didn’t notice any cooling effects — temperature-wise, it felt no different from my normal Casper mattress or one from Bear that I also tested — but for a mattress so affordable, I’m okay relying on moisture-wicking sheets and breathable pajamas instead. Even after a couple of weeks, the mattress kept its plush-yet-supportive feel and the denser foam layers didn’t feel compressed or squishy from regular use. The tl;dr: This is the best value for a mattress, full stop. What to know: Bear claims its mattresses, with four layers of foam (a hybrid version that also includes spring coils, which I didn’t test, is available, as well) are engineered for athletes, promoting temperature regulation and quicker muscle recovery after workouts. These benefits purportedly come from a mattress cover made from a licensed technology called Celliant, a synthetic fiber designed to direct body heat back into the muscles as restorative infrared heat. It sounds like science-fiction, but there have been some clinical studies with promising initial results, including one conducted at the University of California Irvine Medical Center showing that Celliant-infused socks helped relieve chronic foot pain. Bear leans a bit toward the firm end of the spectrum, scoring a 6.5 out of 10 on mattress review site Tuck. How I slept: A pressure map test on Sleepopolis shows pressure points along the hips and shoulders for side-sleepers, which was consistent with my experience. But my husband, who sleeps on his stomach, didn’t experience any pain, so the Bear seems more compatible with back and stomach-sleepers. As for the Celliant cover, it doesn’t feel noticeably different to the touch from any other mattress cover. But — and it may be totally psychological — my legs did feel fresher and less fatigued than they normally would on days after doing sprints and thigh-punishing barre workouts. The fine print: Bear offers free shipping and returns, and a 100-night risk-free trial period. The company will help arrange pickup of return mattresses, but requires that you try it out for 30 days before requesting a return. Bear also partners with 1-800-GOT-JUNK to offer discounted removal of your old mattress. The tl;dr: Given the studies on Celliant, marathon runners, personal trainers, and athletes of all kinds might want to look into Bear. It’s experimental, but the 100-night trial exists for a reason. 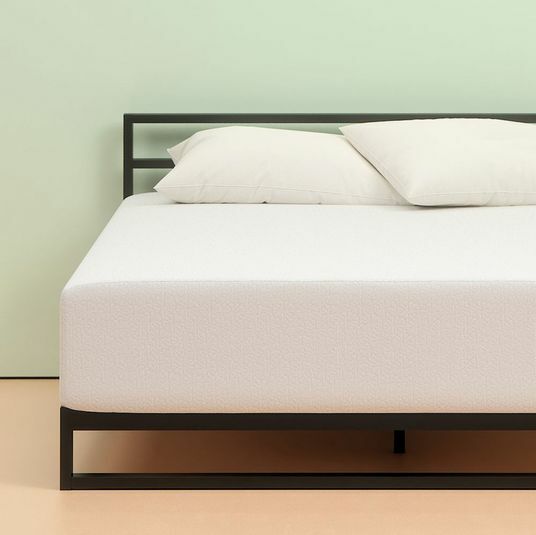 What to know: Casper arguably pioneered the bed-in-a-box frenzy, and the Essential is a recent offshoot of its flagship model, the Casper, (scroll up for that one.) It’s the brand’s most basic and affordable option. 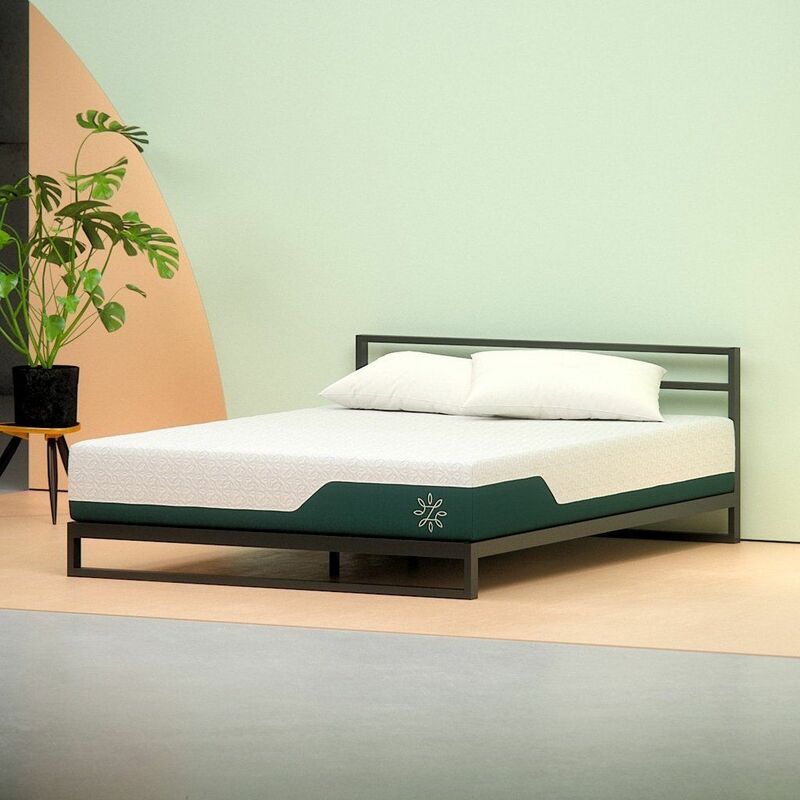 It contains three layers of “premium” foam as opposed to the Casper’s four, with a firm, bottom support layer, a middle layer made of responsive memory foam, and a soft, breathable top layer. It’s also thinner, at 8.5 inches, as opposed to the Casper’s 10 inches. 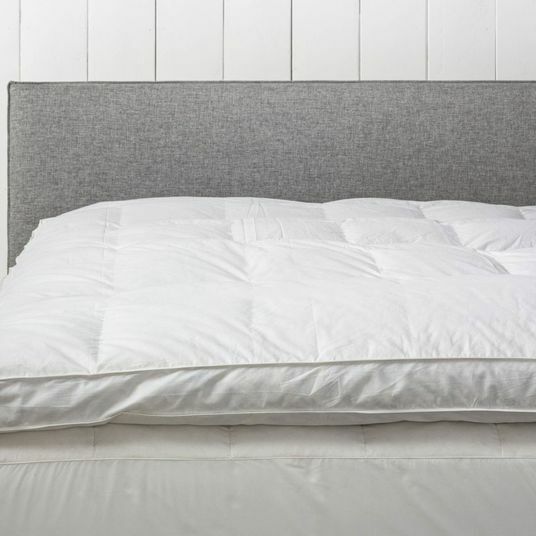 Experts recommend the Casper Essential for the budget-conscious shopper who tends to sleep hot (the top layer of foam is open-celled and therefore cooling), prefers a softer mattress (reviews consistently scored the Essential a 6 out of 10 for firmness), and wants something lightweight (it’s ideal for a student or child). How I slept: The first thing my husband and I noticed was that the mattress was soft. Perhaps too soft. Sitting on it (we had placed it on top of our existing box spring), I noticed that the edge of the mattress gave way easily (though that is common in most foam mattresses). Still, that first night, we slept great, and the entire week, too. But by the second week, we both noticed that we sunk a little too much into the foam and missed the support and pressure relief of our coil-spring mattress. 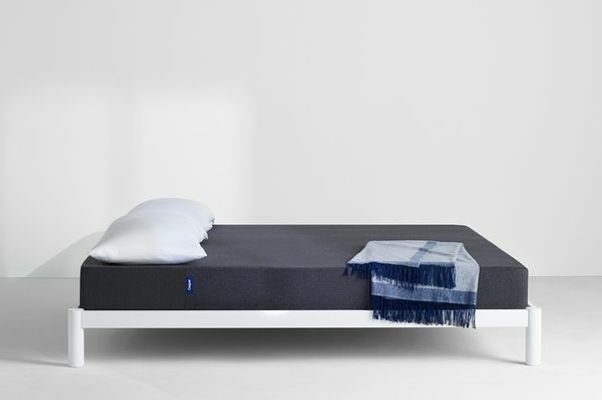 Reviewers have noted that the Essential is especially ideal for lighter people like teenagers and children, and after sleeping on it, that makes sense. Across all brands, foam will often start to contour to the weight of your body, leaving hip- or shoulder-shaped divots. But if you weigh less, like children do, that’s less likely to happen. The fine print: Shipping is free, and if you don’t like it after a 100-day trial, they’ll pick it up at no cost to you (and they claim to “do their best” to donate unwanted mattresses to charity). The tl;dr: Casper is a trusted company, and the Essential comes at a great price, but it’s best for smaller and lighter bodies that won’t sink quite so much into the soft foam. The Strategist is designed to surface the most useful, expert recommendations for things to buy across the vast e-commerce landscape. Some of our latest conquests include the best women’s jeans, rolling luggage, pillows for side-sleepers, ultra-flattering pants, and bath towels. We update links when possible, but note that deals can expire and all prices are subject to change.